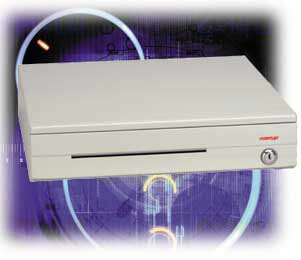 Posiflex CR 3100 cash drawer has a patented "Screwless" tamper-resistant design for added security. Posiflex CR 3100 cash drawer has a patented "Screwless" tamper-resistant design for added security. It also has a special feature that cushions drawer slams and protects the system. The CR 3100 is a low profile, compact drawer with high reliability and durability (MTBF 1 million open/close). The chassis and drawer have durable metal construction. The Posiflex CR3100-US is also known as Posiflex Business Machines	POS-CR3100	or CR3100US	.